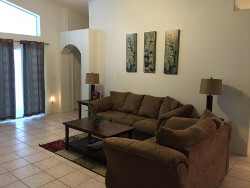 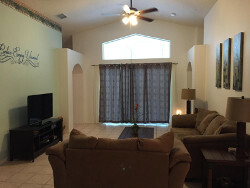 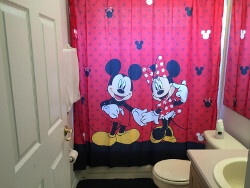 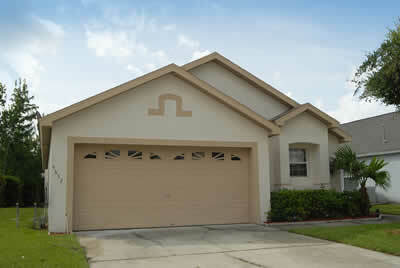 Our beautiful 4 bed, 2 bathroom home, with private screened in pool and water fall is located in Kissimmee Florida in the peaceful community of Indian Point only 5 miles to Disney Property with restaurants and shopping just around the corner. 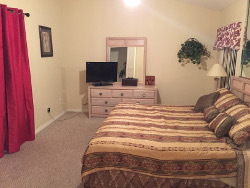 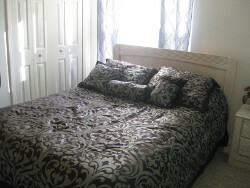 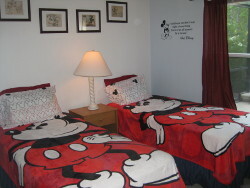 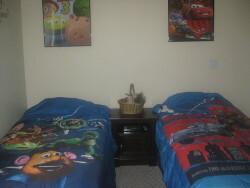 Our home has 4 bedrooms so can sleep two families, with the master bedroom having a king size bed with ensuite bath, the second has a queen and the third and fourth two twins in each. 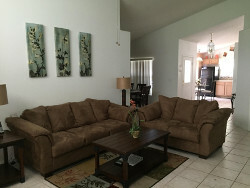 The living room is fully furnished with digital TV, DVD player. 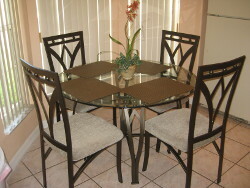 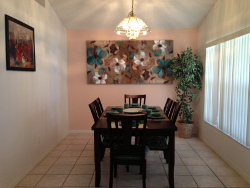 The dining room sits up to 6 guests. 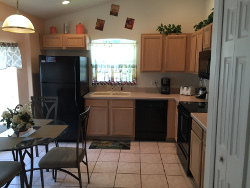 Kitchen is fully equipped with everything you need to cook a home style dinner. 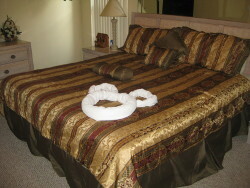 Washer and dryer facilities are also available for your use. 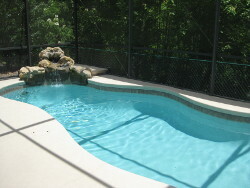 The pool backs conservation so very private and you might see some wild life while you are swimming so bring your camera. 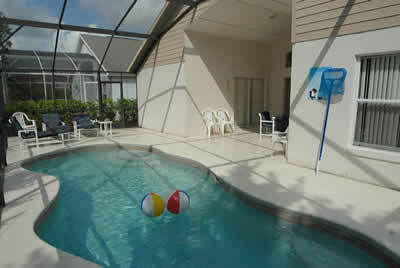 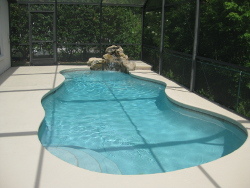 Our pool also has a waterfall and can be heated during the winter months or when needed.